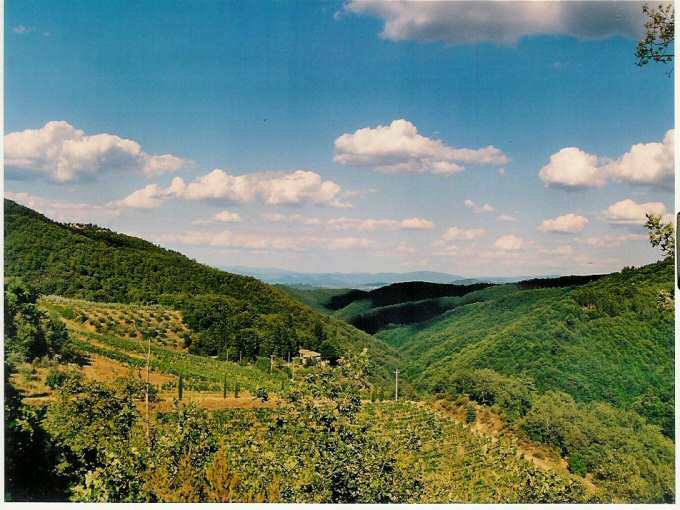 The Mannucci-Droandi vineyard near Caposelvi is located in the Valley of the Arno, about half-way between Florence and Arezzo (15 minute drive by taxi from Montevarchi train station or from the Valdarno exit on the A-1 highway). 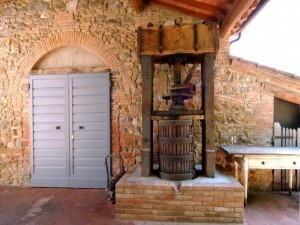 Roberto Droandi has had a life-long interest in local wines, and specializes in biological growing techniques as well as making wine from historical Chianti grape varieties. Just a couple of decades ago, many of these types of grapes were on the verge of extinction but are now cultivated to make in some of Italy’s world’s most exciting vintages. The Mannucci-Droandi vineyard not only offers varieties of obscure historical grapes, but also prize-winning wines such as the Barsaglina and the Foglia Tonda. Over and above offering wine-tastings (reservation required), the vineyard sells its wines at the Montevarchi “localvore” distribution point known as the Mercatale (see previous post in this blog), and a variety of high-quality Manucci-Droandi wines can be found on the wine lists of local restaurants.